they say is a must try so we went there at 3pm and planing to have high tea..
but the cafe was so packed and people were waiting outside..
after 3 hour loitering in the mall finally we were seated happily..
and the famous honey toast is served!! After You’s honey toast is way better x100! Army green sweater=RM69! really thick type! not something great just some other bargain i got from taiwan..
tattoo legging since most of you asking about it and masks..
here’s how to win this! and reply it in comment in this post! I would wish to read more about how you do your daily make up and hair! I find your make up and hair style simple yet elegant and wish to know more it! If you have a skin care routine please share it with us too! And also do keep posting about your outfit and new buys because I love your fashion style! I would really love to win the tattoo leggings because I want it so much! Thank you! i would wish to read your post about make-up and skin care tutorial in kiminpink.com.your make-up really look sweet and natural enough!! anyway,thanks for the giveaway event!! I wish to read about…….Your room decoration! 😀 You're not only a great designer in multimedia/digital media but you really implement your creativity into real life. I really love your ideas. Hi, so likey your outfit's post!!! I hope you can share your photography tips, I love all the photos you take, especially about the room decorations. So, also please have more decorations post, they inspire me to renovate my room. hehe. Thank you for the share, I love your blog. I also love your giveaway so much and I hope I am lucky to be the winner. Follow your blog quite a long time already. Deeply love your blog design,is simple and pretty. Hope you can post more about great bargain because I am just start working,do not have much budget to spend. Thank so much for the giveaway. Have a nice day. Hope Kim can update blog everyday (a little bit greedy). I would like to read more about your sense of fashion. I am a silence follower all awhile, and I admire how you dress up yourself so nicely and I am as petite as you. Hope to read more fashion/beauty posts from you. 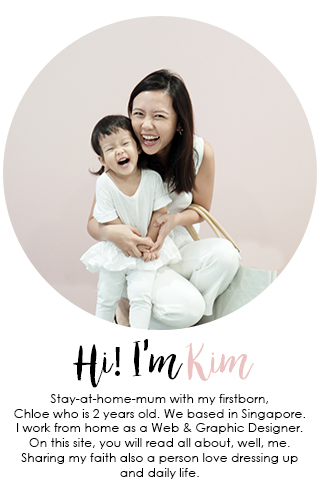 Hi Kim, I would love to read more about your everyday life and outfit post 🙂 I love your fashion sense. I would like to know more about your hairdos and make up cos i always have messy hair and have no ideas on how to make the bottom part curls like yours and long lasting. Had follow your blog for a period of time. I really like your blog, your styling and your decoration. I hope can know more about One way ticket. Although I haven't reach the age, but your pre-wedding photo shooting is so interesting and I always told my boyf that in future, I want some special photo shooting just like yours. Things i wanna read more in your blog is actually your Out fit of the day, and stuff you bought in a good bargain with location of course. besides that your design (interior or so)also makes me keep coming here. Just do yourself,we like what you are not what we want you to be..your life is good and interesting. May be you can do some tutorials on how you decorate your room/stuffs which i think many people want to know. And, I really luv your fashion style..exactly the style I've been looking for. I hope if you can post on how you style your clothes especially for overseas traveling. I luv your recent Taiwan photo fashion style. Tell us how to travel light with fashion 🙂 And also, where you get budget fashion items when you travel. I would like to know more in your fashion style,I love reading your blog. Both of us got married on 30th June 2012, guess some how we are fated, haha! Simply love your blog, love your fashion, love your artistic. Would love to see where you buy all those lovely fashion coordinate and where's your fashion inspiration came from. Also, as I'm designing for my home sweet home currently, it would be great if you can share more about your home decor ideas and their sources. Thanks for your blog and definitely will continue to follow! May I know where u get ur skit? I'm a petite size like you, I would like to see more bout your outfit post. Like how you mix and match with it! And do a Skin care product and hair care one day? Everything that you posted are very interesting. Maybe I would like to see the more artistic side of you. More photos, creativeness that convey your feelings and how you are inspired by things and colours. I would love to read more about your love life? And more fashion please! You are so fashionable and I love your style, I'm learning to dress myself, you're a good inspiration. I would like to see more outfit of the day post and your room design posts! I love your style, you are such a great designer haha. I would love to see you post more of your outfit post , i love your style . I would also love to see you share some of the designing tutorial cause you're an awesome designer .